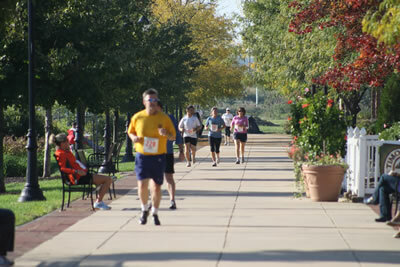 For the first time since the early 1990s, the 29th running of the Delaware Distance Classic 15K exceeded 300 finishers. All together the race had 377 registrants, 359 starters and 348 finishers. 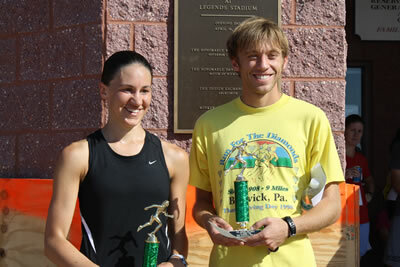 Charity Proceeds from the 2011 Delaware Distance Classic will go to Mike Clark Legacy Foundation. 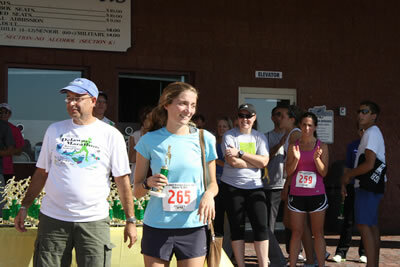 Managed by the Delaware Community Foundation, MCLF raises funds for the Clarence Fraim Boys & Girls Club of Delaware. 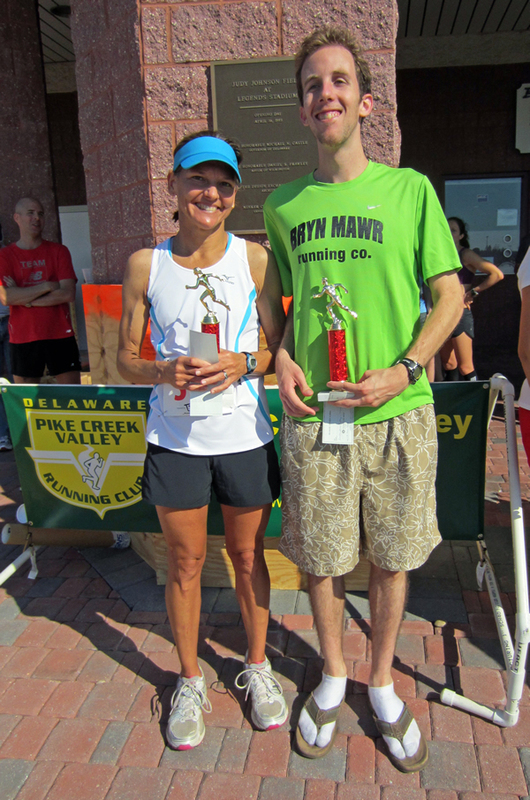 This years winners were: Men – Pat Hayburn, 1st, 49:20; club member Dan Suher, 2nd, 51:25; Justin Winter, 3rd, 51:52; and Bob Schwelm, 1st Master, 54:17. Women were: Doreen McCoubrie, 1st, 56:49; Kimberly Hickey, 2nd, 59:07; Alison Pilkington, 3rd, 59:43; and Linda Hawke, 1st Master, 59:59. 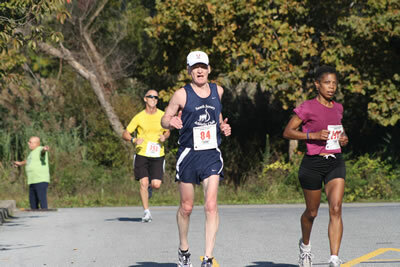 It should be noted that Doreen McCoubrie, 49, is the overall female winner and therefore cannot win the Master’s prize. 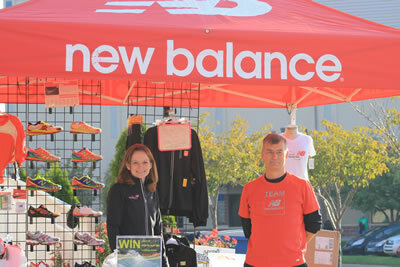 This year saw a big increase in sponsorship for the event, especially from Wilkinson Roofing and New Balance Delaware. 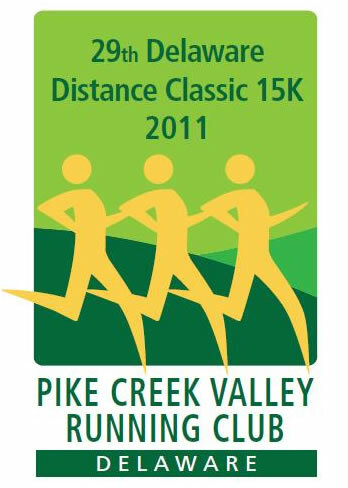 Charity Proceeds from the 2011 Delaware Distance Classic will go to Mike Clark Legacy Foundation. 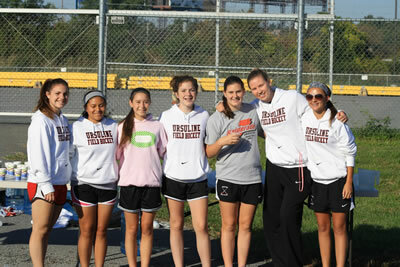 Managed by the Delaware Community Foundation, MCLF raises funds for the Clarence Fraim Boys & Girls Club of Delaware. The 29th edition of the race also saw a revamped logo for the shirt, which people seemed to like and the addition of beer to the post-race refreshments. 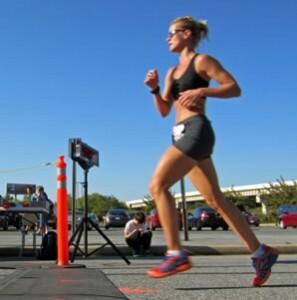 The race organization had the difficulty of trying to gauge the growth in the race and balancing that against the number of shirts to order and the amount of refreshments to buy. 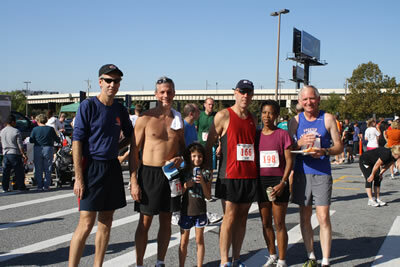 Some sizes of the shirt ran out and the liquid refreshments were all out before the last few people finished. No doubt we’ll improve on addressing these minor problems in the future. 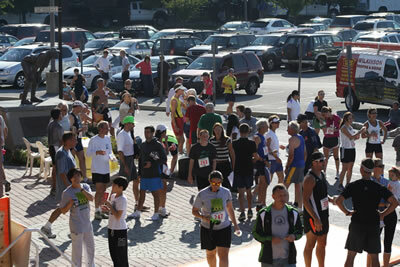 The race itself had good conditions – sunny skies with the temperature in the mid-fifties at the start. 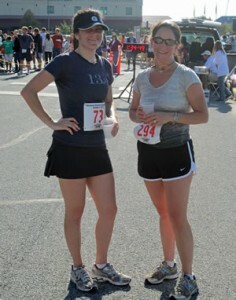 It warmed up by the end, but not so warm that people were adversely affected while running. With a car show at the Chase Center and a tent area on S. Madison St, the course had one minor detour into a parking area and over some gravel, into a paved lot and back onto the road. This alteration had been quickly remeasured and the course certified by Doug White several days before the race. 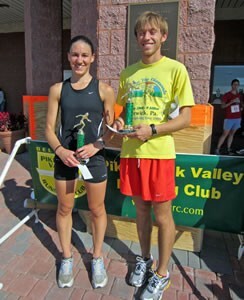 Being part of the MA-USATF Grand Prix circuit of races, the event had 82 USATF participants (including PCVRC’s own club members of USATF). This made for tough competition within the age groups. 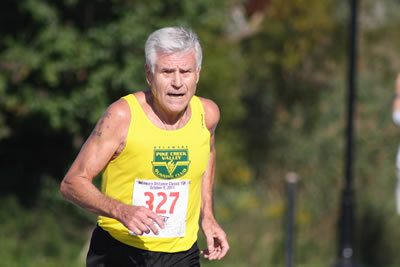 Speaking personally, I have of couple of 2nd place age-group plaques from 2004 and 2006, but this year I was only 5th among men 65-69, even though I was fairly pleased with my effort. The event would not have been this successful without the efforts of a number of club members. The committee had no single person who was “the director” (and the club would still like someone to assume that roles. 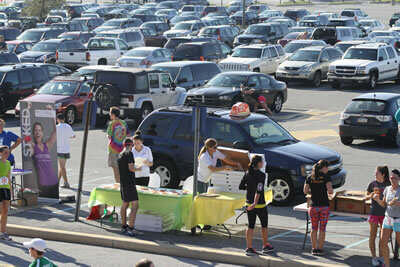 Instead the combined efforts of Club President Ray Christensen, who is director of the Nun Run, Joel Schiller, who is operations director of the Delaware Marathon, and Jim Steele, who directs the New Castle five Miler, led a good group of people who all pitched in with efforts in various areas. 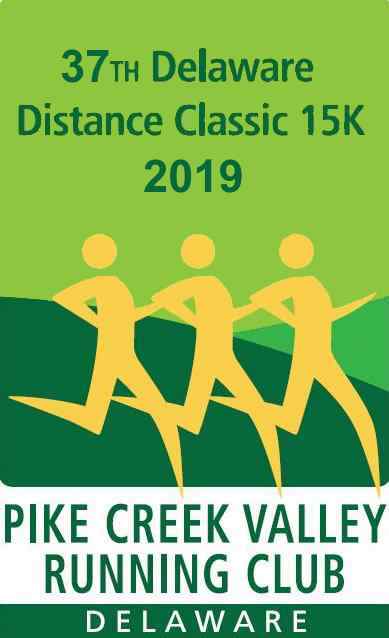 Additionally, a number of other club members can out on race day and helped with course marshaling, registration, food prep, and the clean-up of the venue after the race. The club thanks them all. Thanks so much for enjoying a beautiful day with us in Wilmington! 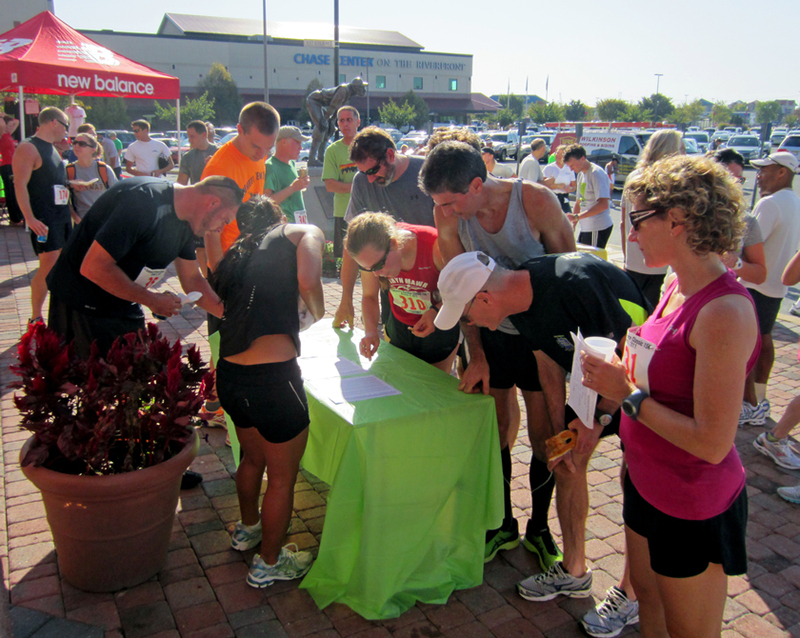 With 344 finishers and 377 total registered, this was our largest turnout in over 10 years. Available in Black from New Balance with your choice of DDC Race Logo or PCVRC Club Logo embroidered on front. 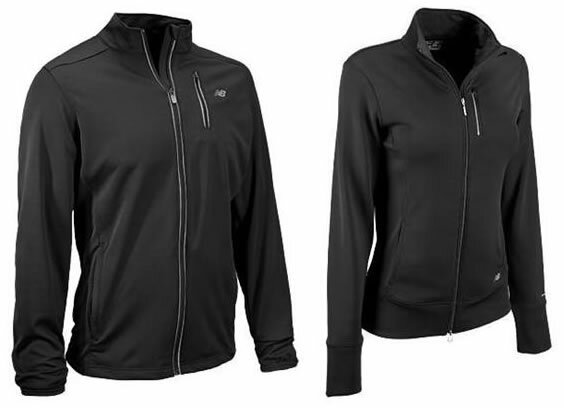 Lightweight, moisture-wicking, and breathable, the Gazelle Jacket is seriously versatile. Whether you’re running a mile or twenty, this reflective jacket is your friend; a music-friendly chest pocket features an exit port for wired devices, so awkward armbands or irritating wire tugging can be a thing of the past. Orders will be taken on race day. 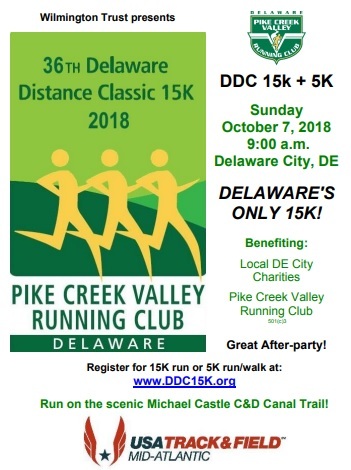 All 2011 proceeds benefit PCVRC, the Mike Clark Legacy Foundation (which supports Boys and Girls Club of Delaware) and the Delaware KIDS Fund (Kids In Distressed Situations).